The science, history and art behind color is fascinating. It's a subject that never bores me, in fact I have dozens of books just on color alone. I could ramble for ages, but I'm going to assume that you just want the facts today. 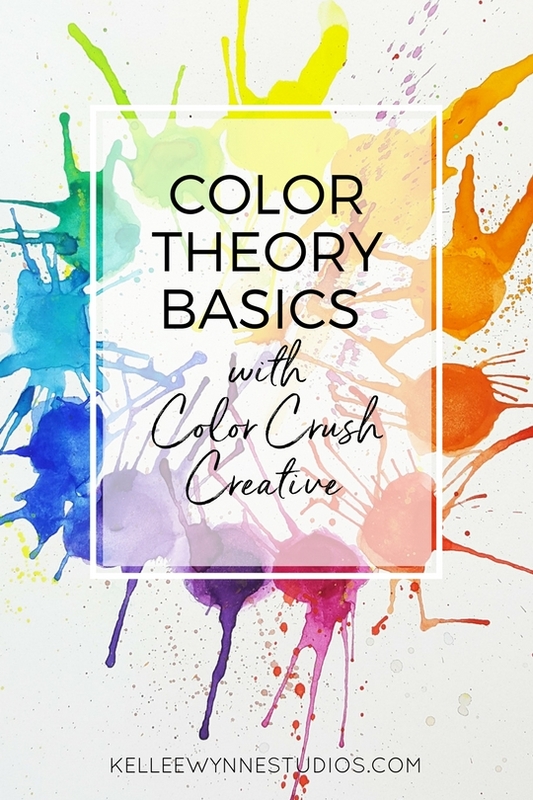 Color Theory is still an evolving idea of how we use, see and relate to color; even color can create controversy with its theories. For all intensive purposes we're going to stick with the basic color wheel originating from Sir Issac Newton with Red, Yellow and Blue as our primary colors. I'll leave the other theories for a discussion at a later date. It turns out that seeing, truly looking and observing with our eyes, is the most important factor in becoming a good artist, not simply the fine motor skills of our hands. 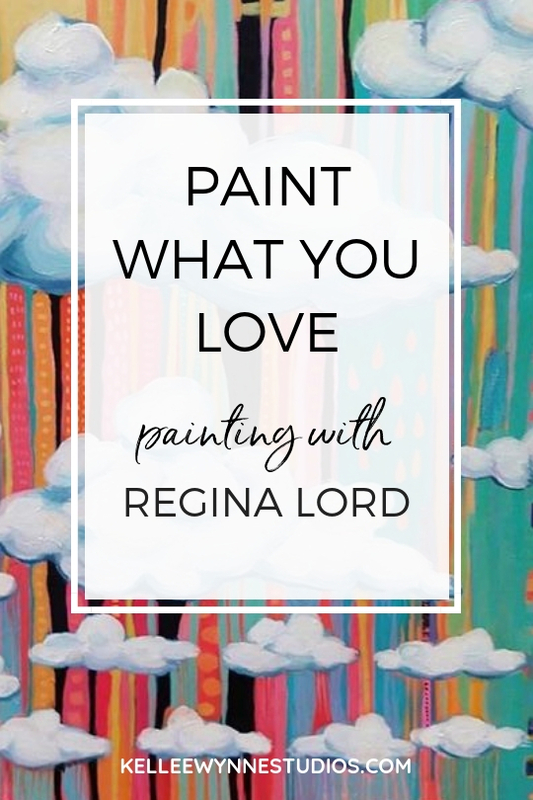 Learning how to let go of our ingrained learning about color and start with a fresh look at how color, light and contrast work with each other will change how you approach your artwork. Our earliest education taught us that trees are green and the sky is blue, but through the artist's eye we can learn that it takes all the colors on the color wheel to create spectacular visual effects through paint. Take a closer look at color. Look at the tree again. In the shade you may see blue or purple and where the leaves shine bright in the sun they may reflect yellow. Green is not just green. If you used green straight from the tube and then darkened it with black and lightened it with white, your tree would be dull and child-like. The same applies to the sky. Is it only blue? Monet spent his days painting the same scene of the Cathedrals at Rouen at different moments of daylight, realizing the sky and the light reflecting on the buildings cast a variety of shades and intensity of different hues. From cool blue in the morning to warm yellow or red in the afternoon, no two moments looked the same. The subjects did not change, but the visual effects of the conditions of the sunlight were constantly changing. 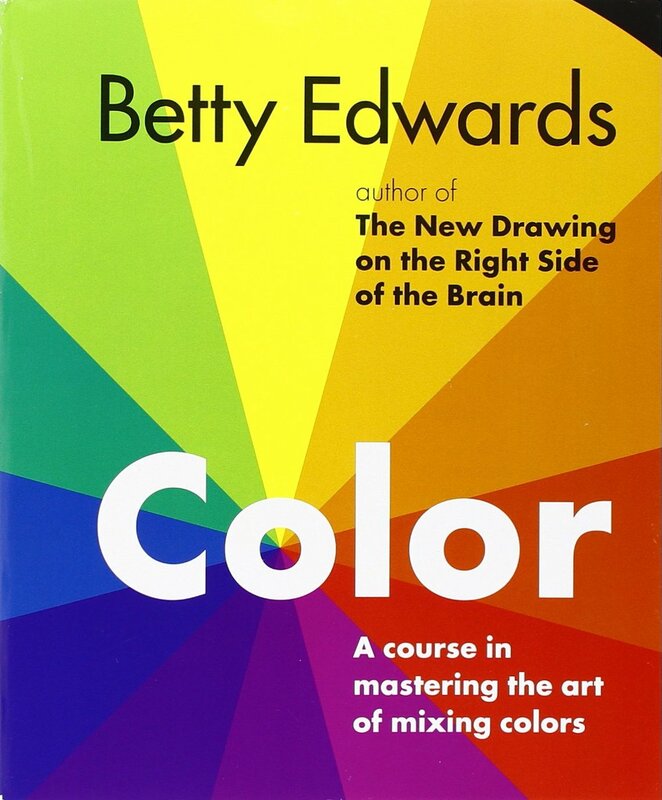 So, dear artist, to start learning color theory you must first open your eyes and put away your preconceived notions about what color means. Observe the world around you. 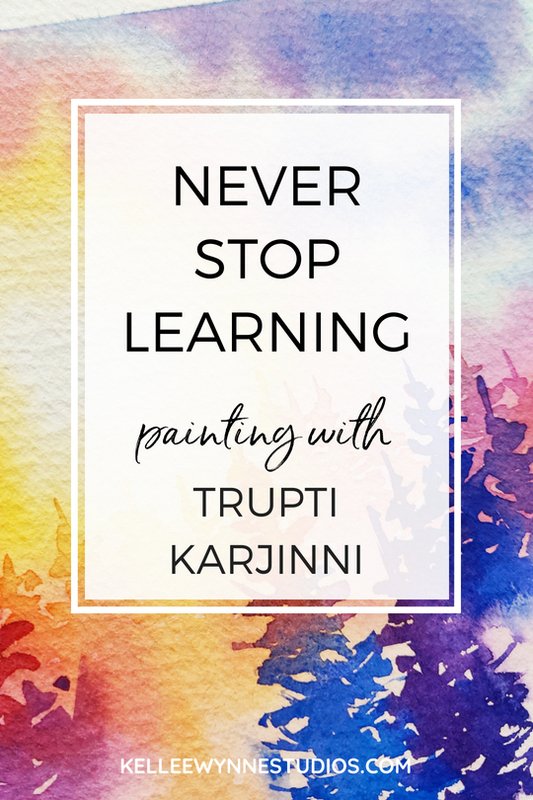 Memorize the color wheel and the terms used for color theory and then begin your journey into mixing colors and learning how they relate to each other. Primary Colors: Three colors equal distance on the color wheel - red, yellow, and blue - that are the basic building blocks of color in which theoretically all other colors on the spectrum can be made. Triadic Colors: Any three colors evenly spaced around the color wheel, i.e. : red, yellow & blue, red-violet, blue-green & yellow-orange, etc..
Tetrad Colors: Two colors that are separated by one hue plus the complements for each, i.e. red & green plus orange & blue. Monochromatic: A single color in various shades, tints and tones. 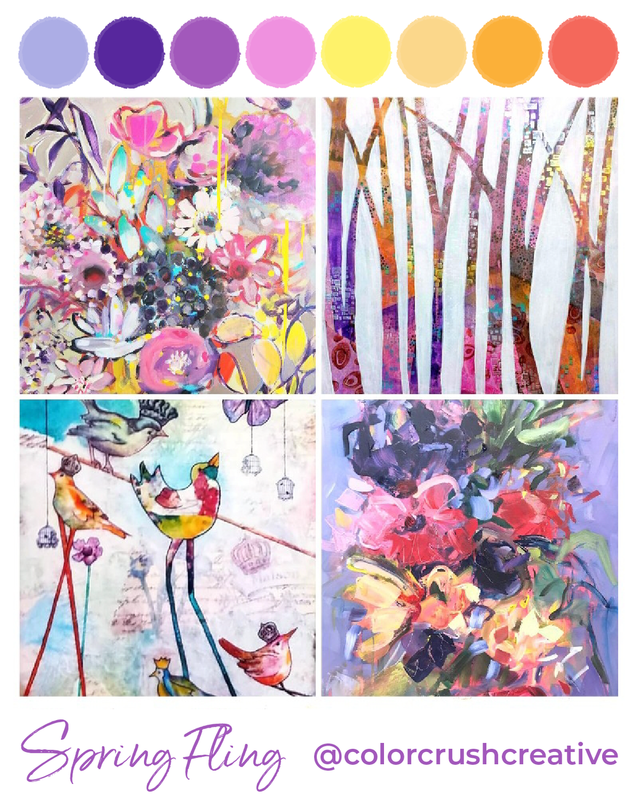 Color Assignment 1: Use a selection of artwork on Pinterest and take time to identify the color scheme the artist chose to use for their painting. What do you see? Use the infographic below as a guide. Can you pick out the color scheme? Is there a strong execution of this color scheme, a subtle hint towards a particular color scheme or could the artist have improved their painting by refining their color selection? Looking with a critical eye will help you develop your color confidence! Art Assignment 2: Make your own color wheel. Start with Cadmium Yellow light, Cadmium Red medium and Phthalo Blue. There are 12 spots on the color wheel; evenly space the Primary colors on the wheel. 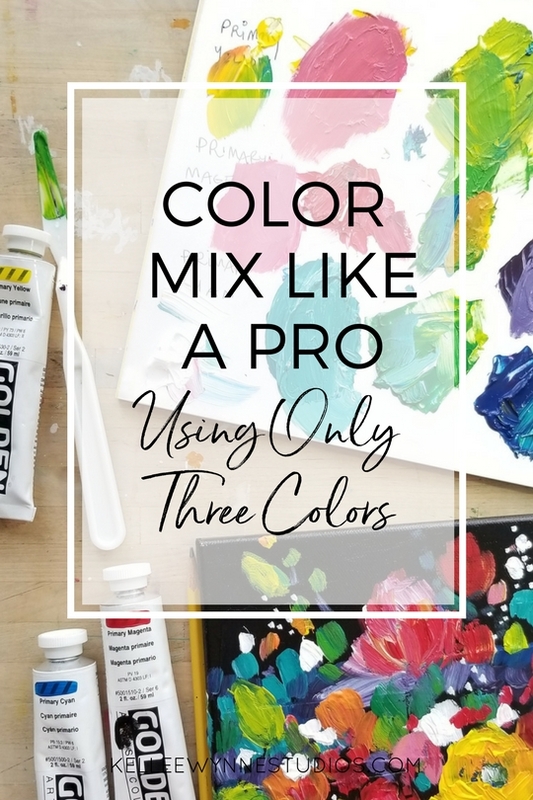 Then mix their Secondary colors and evenly space them on the color wheel as well, leaving one blank spot in between each main color for the tertiary colors that you mix last. Attempt this as many times as you need to until the mixing turns out right. When you mix the colors instead of using colors directly from the tube you will begin to understand their properties and how they work together better. Save this image to your computer and print on heavy cardstock to make your own practice color wheel. Now that you have a better familiarity with the color wheel and it's terminology, let's get to work! There is no better way to truly understand how color works than to begin mixing colors together without any expectations. When was the last time you just splashed some colors onto the page? Do it for the process not the outcome. Do it for yourself not for social media. Give yourself permission to PLAY! 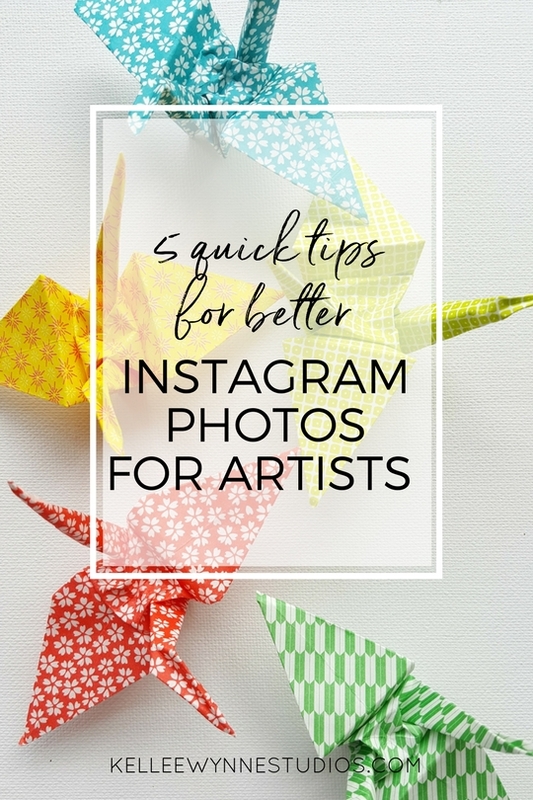 And while you're playing, give these tips a try and see if it helps boost your artwork to the next level. Vary the proportions of color. 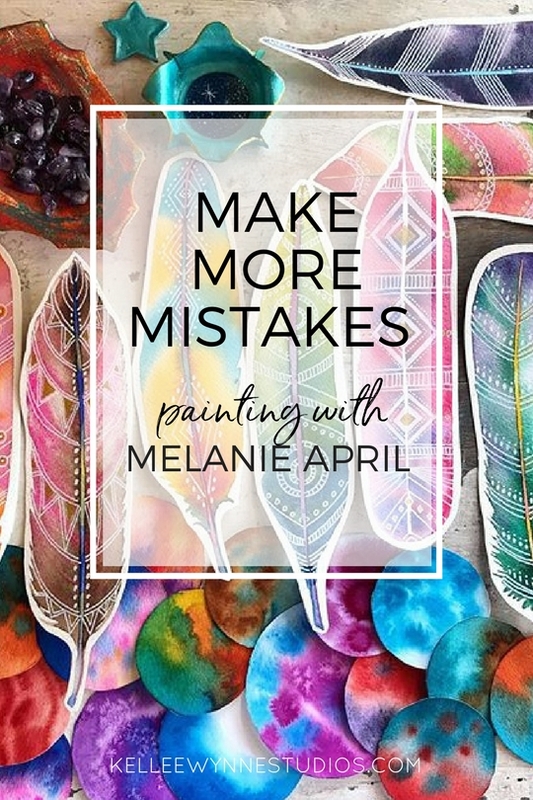 It will keep your artwork interesting if the color choices are NOT all equal in amount. Choose one to be the dominant color and others to be secondary. Sometimes this can be explained as "Gallon, Pint, Cup, Tablespoon". Use a range of values. This means using light tints and dark shades and everything in between. Or you can think of it as having areas of intense and soft colors. If you use the same level of value for all your colors your artwork will fall flat. Give your eye somewhere to rest by allowing breathing space in your artwork. You may have some areas of great action, movement and intense color, but allow for some space of calm and rest. You can use white, a neutral gray or a non-dominant color. Limit your palette. 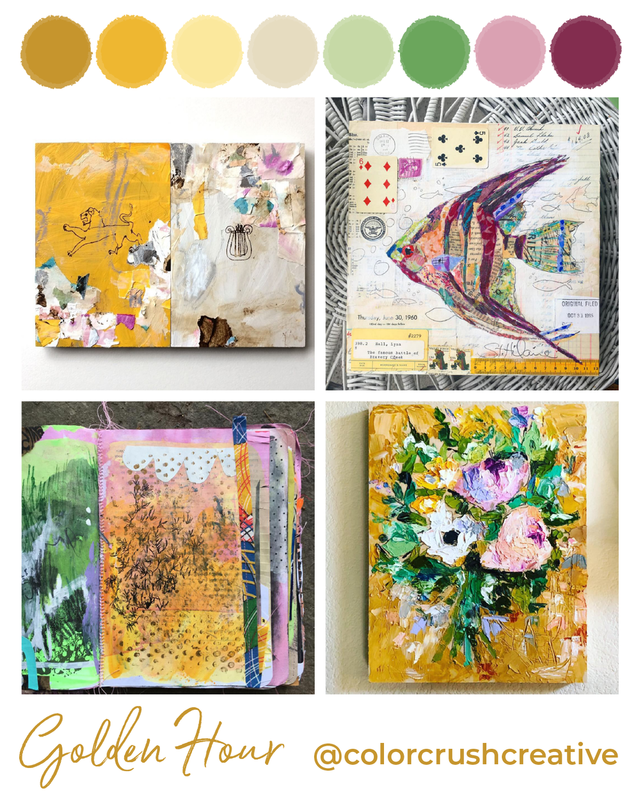 Of course this is where Color Crush Creative has been coming in handy by providing weekly ideas on limited palette colors. 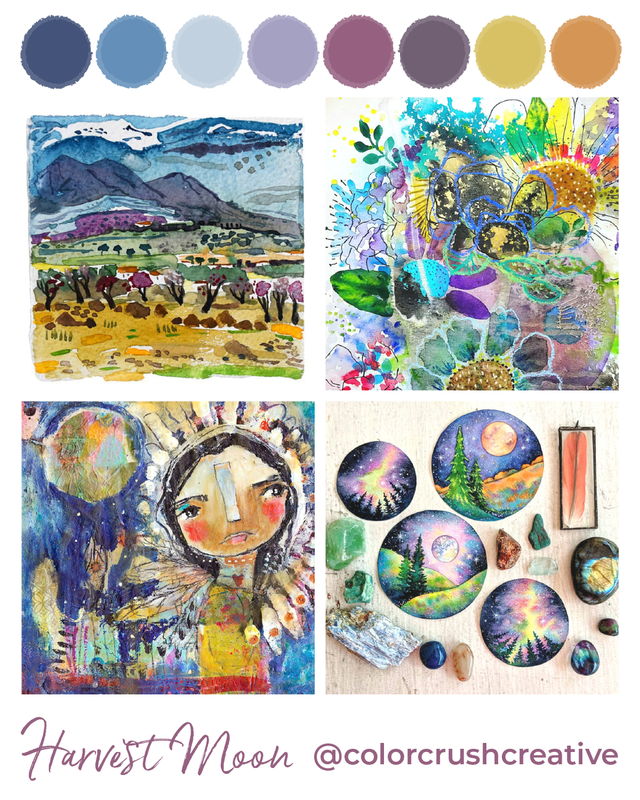 A rainbow of colors may seem like a great idea but it's much harder to focus your artwork and create a cohesive piece when you have too many choices. So, pick two or three and give it a whirl. Practice, practice, practice. If you make mud, start again. Pull out three PRIMARY colors plus white and mix up as many combinations as you can. When you've exhausted those colors pick a different set of three primary colors and try it again and see what happens. And so on... Only by doing will you really begin to understand! Hey artists! 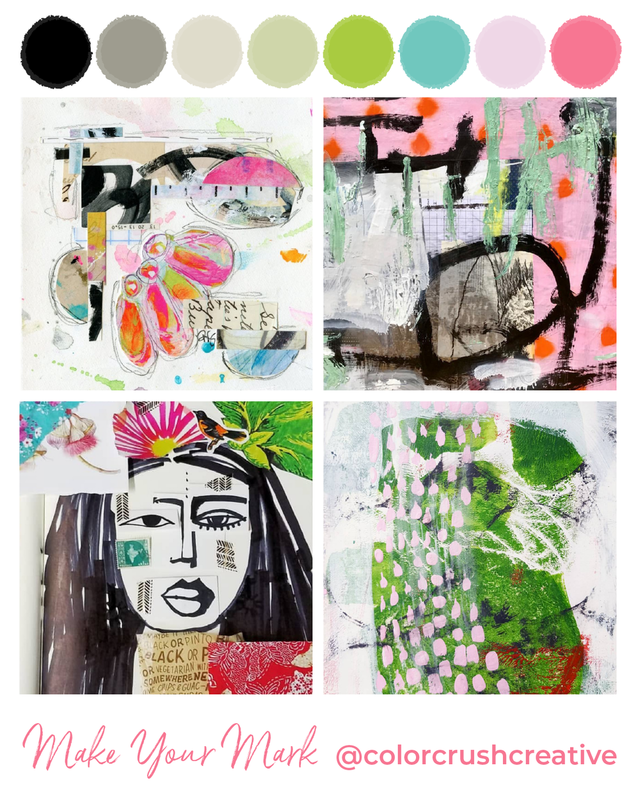 Sign up for "Color for Your Inbox" and get the one email you'll look forward to all week! 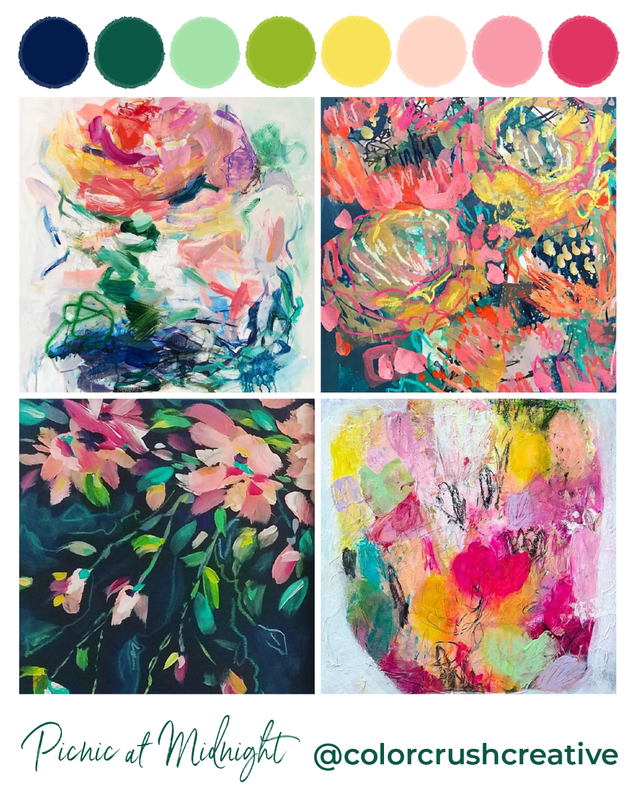 The True Colors Art Program™ with Kellee Wynne Studios always delivers great tips and tricks for artists and the best color palettes to help you with your creative journey!